This weekend I was crazy lucky with my schedule. I found myself with two nights in Havana. My crew knew all the good spots to go to and had been there many times before. I guess a lot of people have the beach resort experience of Cuba, but this was nothing like that. Our hotel was very nice, but not all inclusive. 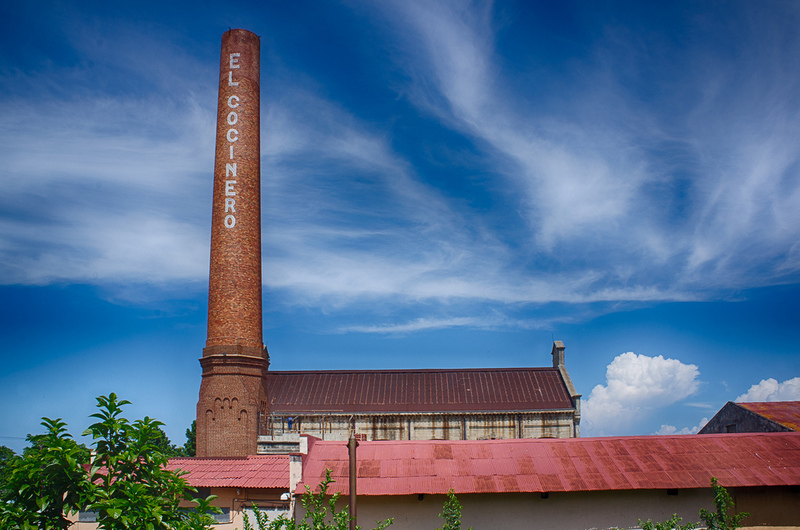 The first night we went to dinner at El Cocinero which is an amazing restaurant inside of an old cooking oil factory. The design is amazing. 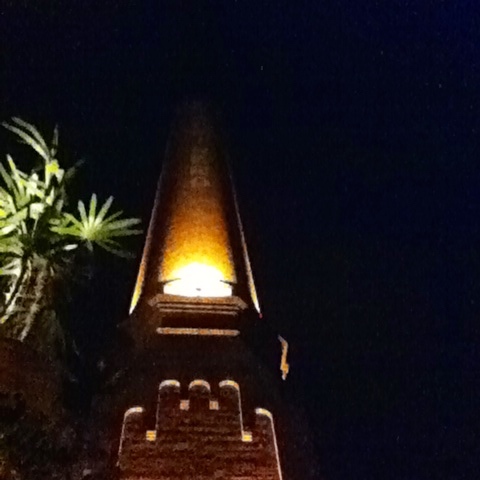 There is a huge smoke stack that is the entrance and then you go up to the rooftop patio. You can take the stairs up to the smoke stack, and there is a huge chandelier made of snorkels! I wish I had gotten better photos, but it was so dark and late at night this one from flickr will give you a better idea. 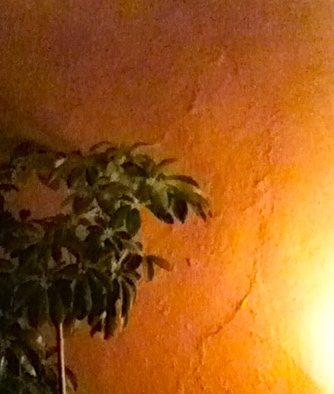 We ate a bunch of yummy tapas and the mojitos just kept on coming. We then headed to a club that was completely covered in white leather. Even the tables were. Everything was back-lit with these bluish purple lights, very tropical. The next morning me and one of the other flight attendants hit the beach. Its about a 25 min cab ride away, and driving through old Havana is pretty interesting. We passed a lot of beautiful buildings and candy coloured cars. 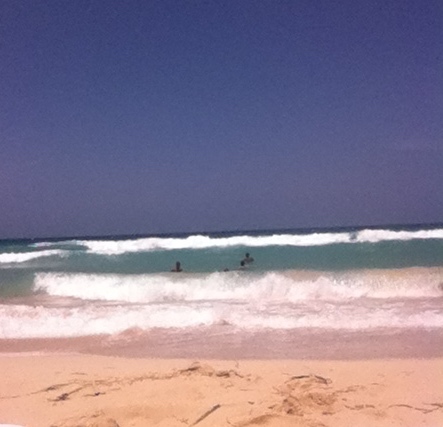 When we arrived at Santa Maria beach, which is a public beach, there was a huge mix of people there. The funniest thing to me was the little groups of people hanging out in the water holding a full bottle of rum. I was so zen-ed out in my beach chair, looks like the summer is off to a sunny start. At our early dinner I practically fell asleep. I ate something called garlic fish. Which is exactly what it sounds like and it was so good. All of the food was really delicious and fresh.. we thought we were smart ordering lemonade with dinner, but of course in Cuba there’s rum in it weather you asked or not! I wish I had more photos. For some reason I had it in my mind that they had the same plug ins as we do here in Toronto and didn’t bring a converter. Usually I can get one from the hotel desk, but there was a fee and I wanted to spend it on mojitos instead 😉 Soon I will be getting a new photo with a better camera so at least I will have a decent backup if I have camera issues. Oh well that’s just how it goes sometimes.